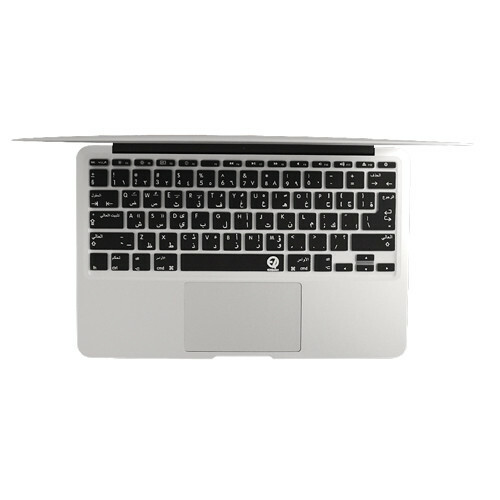 The EZQuest Arabic/English Keyboard Cover for 11" MacBook Air is a keyboard overlay made from space-age plastic that allows you to type on an Arabic/English keyboard without using stickers. It fits both the US and European keyboard of an 11" MacBook Air. The cover is ultra-thin for superior typing and noise reduction. It's clear and almost invisible, making it ideal for backlit keys. While on the keyboard, it will guard against spills, dirt and dust. Plus, it's easily washable. Box Dimensions (LxWxH) 12.1 x 5.6 x 0.3"